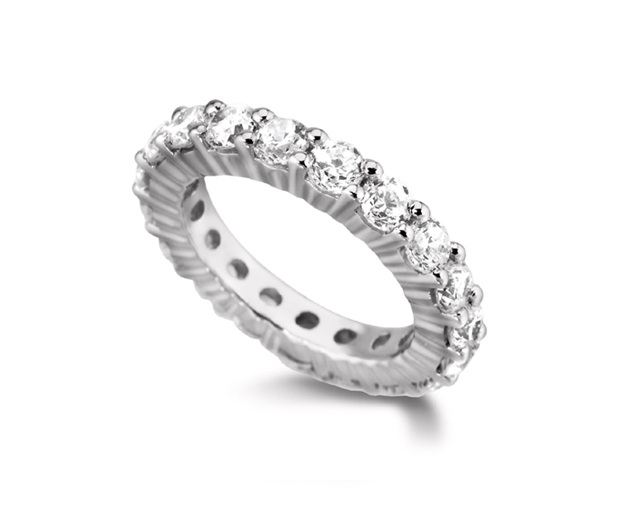 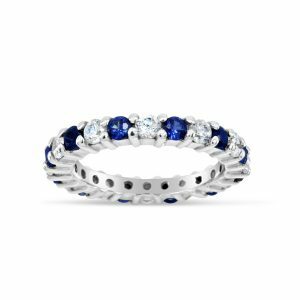 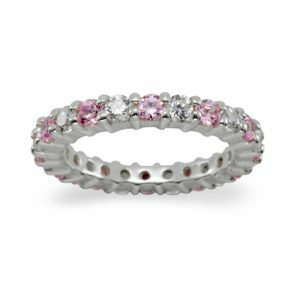 A beautiful claw set eternity ring in platinum. 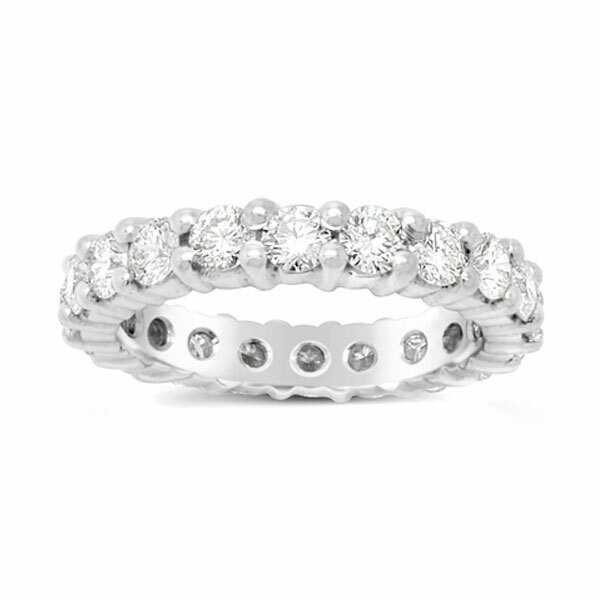 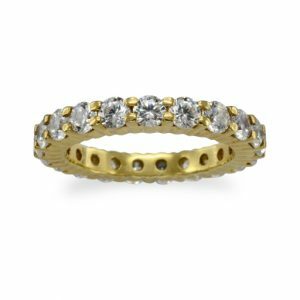 Set with approximately 20 0.10pt 3mm FVS round brilliant cut diamonds. 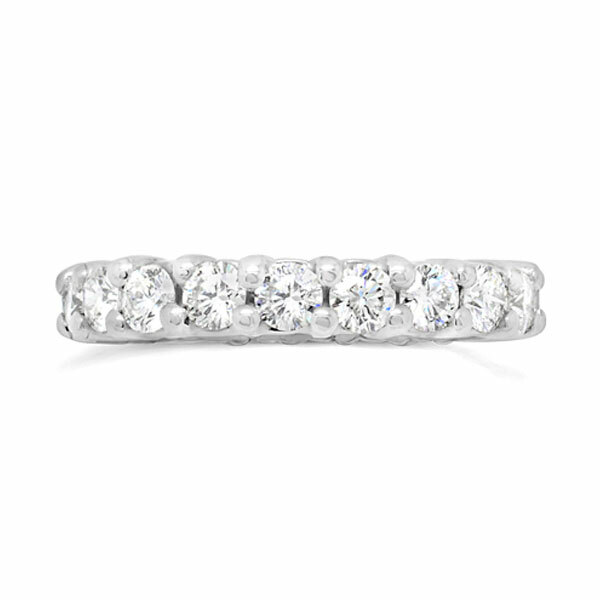 The finished carat weight of this ring is 2cts.